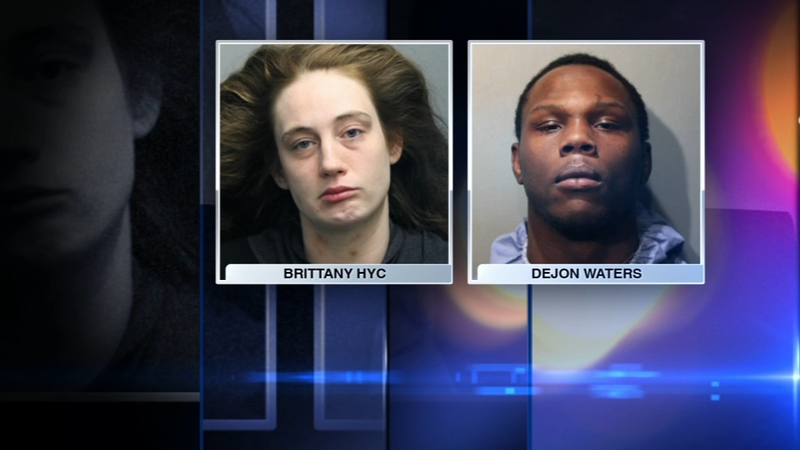 CHICAGO -- A mother and her boyfriend have been charged after the death of the woman's 2-year-old son in Washington Park, Chicago police said Thursday. Police responded to the 6000 block of South Prairie Avenue at about 6:50 p.m. on Monday and found the boy unresponsive and with visible injuries to his face and body, police said. Police said Dejon Waters, 21, was in charge of babysitting the boy and admitted to physically abusing him, causing the fatal injuries. The boy's mother, 28-year-old Brittany Hyc, was taken into custody after police said she knowingly endangered her child by leaving him in the care of Waters. Police said Waters had battered the child on previous occasions. Waters was charged with first degree murder and Hyc was charged with child endangerment. They are scheduled to appear in bond court Thursday afternoon. According to the Department of Child and Family Services, Jahir died less than 48-hours after an agency contracted by DCFS visited the home and reported the children to be safe. Family members told ABC7 that the kids should never have been living with the couple in the first place.